Antalya Airport to Alanya Hotels and holiday home Transfer service – Alanya is a beach resort city and a component district of Antalya Province on the southern coast of Turkey, in the country’s Mediterranean Region, 138 kilometres east of the city of Antalya. From Europe you can reach Antalya and Gazipasa Airport in 3-4 hours by plane. From Antalya to Alanya you need 1,5 hours if you drive with our private transfer, if you choose a shuttle than you will need 4 hours and more. To get earlier to your Hotel you need to book a private shuttle. 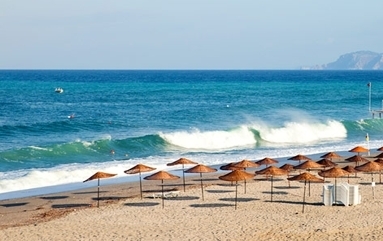 Our Transfers from Antalya Airport to Alanya is cheaper than local airport taxis. You not have to wait until you shuttle bus is full, you can start after landing to get to your Hotel quickly. 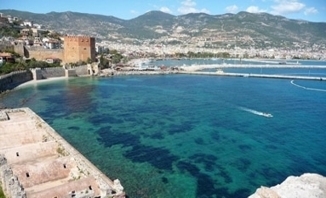 Book your Antalya Airport to Alanya Transfer online to Alanya and pay upon arrival to the driver. You can use our service at Antalya Airport and Gazipasa. The easiest way to travel to your Hotel or holiday home in a private Van. We will bring you from Antalya and Gazipasa Airport to Alanya, Oba, Kestel, Cikcili, Konakli, Turkler and Avsallar. We will pick you up on time at the airport or hotel and will bring you without stopovers to your Destination. The prices are starting from 29 € per vehicle. Our Rates you can find here, Antalya Airporttransfer Rates. We will take you from Antalya Airport to your destination and back in comfort and safety, at a low price and with great customer service. Without stopovers, to your destination. Check our Airport Transfer Rates. Book your travel offers at our site to all major holiday destinations by coach, taxi or private mini buses. You will experience that how much you can save and enjoy your own private transfer. We have a fast online booking service with friendliest and dedicated staff to work with us. If you want to reach your holiday destination safely, quickly and without any discomfort very affordably then choose us and you will always be there on time. With most economic price our Antalya Airport to Alanya transfer facility is done very effectively. You can call us on 0044 1223 790179 or email us at info@eurontransfer.com. Euron Transfer will get you where you want to be on time and in comfort. If you have any further questions or special requests, also feel free to call our english-speaking customer hotline. You can get us on the phone daily from 9:00 am to 9:00 pm. We hope to welcome you soon as a client of our Airport Transfer Service.